It wasn’t the busiest week at UK retailers, but we do have a new best-seller with World War Z rampaging past the likes of FIFA 19 and The Division 2 to claim the top spot. The only other new game to make an appearance in this week’s top ten is Snooker 19, which managed to make a solid break and finish ahead of fellow debutants Final Fantasy X/X-2 HD Remaster (No.20) and My Time at Portia (No.27). The country-inspired rap hit takes the top spot with 80,000 combined sales following a perfect storm of viral challenges on the social media app Tik Tok, some controversy and a remix featuring country icon Billy Ray Cyrus. 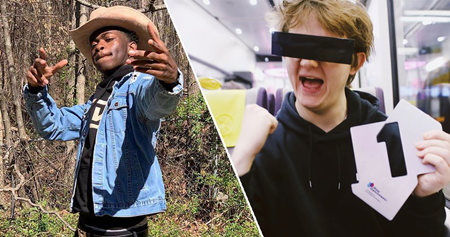 Lil Nas X’s feat ends Lewis Capaldi’s seven-week run at Number 1 with Someone You Loved, slipping to Number 2, though he did earn the most downloads of the week. Meduza & Goodboys climb one step closer to the chart summit with Piece Of Your Heart at Number 4, and Keisha & Becky by Russ & Tion Wayne vaults 23 places to Number 7 after a remix featuring Aitch, JAY1, Sav’O and Swarmz was released last Friday. Marshmello lands his fifth Top 10 single and Chvrches claim their first with Here With Me up one place at Number 10. Avicii claims this week’s highest new entry with SOS ft. Aloe Blacc (12). The single is the Swedish DJ’s first posthumous single to be released since his death one year ago on April 20, 2018. K-pop band BTS and US singer Halsey debut close behind with their record-breaking single Boy With Luv (13). This week saw the official music video for the song smash the YouTube record for the most views globally in the first 24 hours, with 74.6 million. Meanwhile, rising star Alec Benjamin hops five places with Let Me Down Slowly to 31, and Who Do You Love by the Chainsmokers ft. 5 Seconds of Summer (36) re-enters the Top 40 after jumping ten places. 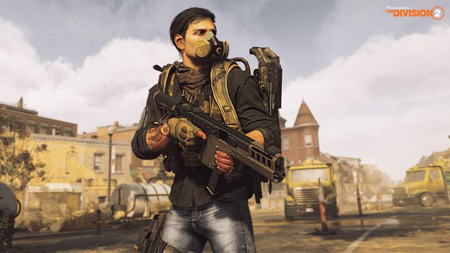 The Division 2 has already experienced time at the top of the UK boxed charts, and last week Ubisoft and Massive Entertainment’s shooter got another top spot, following the release of the Tidal Basin content for those seeking an extra challenge. FIFA 19 sits just behind The Division 2 at number two, and the familiar faces of Red Dead Redemption 2 and Mario Kart 8 Deluxe are at numbers three and four respectively. Yoshi’s Crafted World – another former number one title – is at number five, and for the full top 10 check out the list below. Can The Division 2 hang onto the top spot? Lewis Capaldi keeps his place at the top of the charts with Someone You Loved, denying Lil Nas X the Number 1 spot with his viral hit Old Town Road. Someone You Loved logs 69,000 combined sales this week, including 8.16 million streams, to score a seventh week at the top of the Official Singles Chart. Lewis now has one of the longest-running Number 1 singles for a Scottish act in the UK – third behind Wet Wet Wet’s Love Is All Around (15 weeks) and Calvin Harris’s One Kiss ft. Dua Lipa (8 weeks). It means Lil Nas X has to settle for second place with Old Town Road The hip-hop-meets-country song, which went viral thanks to the ‘Yeehaw Challenge’ meme where people film themselves transforming into cowboys, vaults 37 places to Number 2. Elsewhere in this week’s Top 10, production trio Meduza lift five spots to Number 5 with Piece Of Your Heart ft. Goodboys, and Khalid’s Talk leaps seven places to a new peak of 9. Following the release of his new record Free Spirit, album track My Bad makes its first Top 40 appearance, jumping 27 places to 32. Ariana Grande & Victoria Monet’s Monopoly makes a 17-place climb to Number 23, and Jax Jones’ All Day And Night ft. Martin Solveig & Madison Beer shifts 16 places to make its Top 40 debut at 25 – his seventh Top 40 to date. It’s also Martin’s seventh Top 40 entry and a first for US singer Madison.